Let’s Get Those Signs Down! As I warned, I am now going to start posting pictures of political signs that are still up, along with the location of the offending signs. Most of them are on public property, so there shouldn’t be any problem for the candidates involved to stop and pull them down. Oh, and just because your sign is on the ground, that doesn’t count as being removed. I also noted another sign for Mr. Benoit on Magnolia Ave. the other day, but I didn’t have a chance to take a photograph of that one. And I still need to stop by SR-125 and Mission Gorge Rd. to see if the signs on the ground there have been picked up yet. 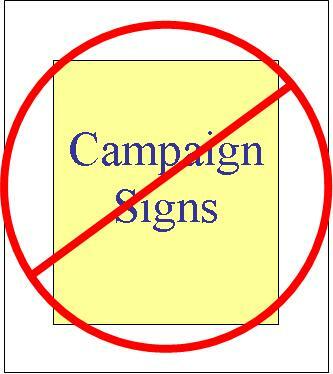 If you know of any other political signs that need to come down, please let me know and I will post them as well. I will also send a link to the candidates and/or proposition supporters so that they can get these signs down. Less than 10 minutes after I emailed Larry Urdahl about his signs he responded and told me he would have them down by Friday. A tip of the hat to Mr. Urdahl, who also told me that he spent 3 hours one day after the election just taking down signs in Santee. As of now – early January – all of the signs seem to be down. This is the second in my series of interviews with candidates for the 52nd Congressional District. Our first topic of discussion was education and the role of the federal government. Mr. Benoit, who calls himself a “perennial student of the Constitution,” points out that Thomas Jefferson explains that the federal government is a “foreign” government to the states. This means that the role of the federal government is to deal with foreign countries and issues between the states. It had virtually no power to deal with domestic issues, such as education. Therefore, it has no business getting involved in education, and in fact makes things worse, explaining, “The further away the control of a child’s education gets from the parent and the teacher, the worse it gets.” He believes government should have no role or influence in education, and that decisions need to be made at the local level. On healthcare, Mr. Benoit feels that this is another area where the federal government has no business getting involved. The Constitution made no provision for the federal government to take a role in healthcare. He argues that senior citizens pay more out of pocket for their healthcare now than they did before the advent of Medicare. Mr. Benoit explained that at one point (in the 1960s or before) the government had restricted the number of students who could go to medical school on the argument by the doctors’ lobby that it would increase the quality of doctors. The actual result, he said, was less competition and higher rates that doctors could charge. He sees the government’s increase in regulations as a stepping stone toward national healthcare, which he opposes. Mr. Benoit’s thoughts about government involvement in the mortgage situation echoed his opinions on its invovlement in other areas of life. He first quoted past Libertarian Presidential Candidate Harry Brown, who said “the government cripples you, hands you a crutch, and then says, ‘see, you wouldn’t be able to walk if it wasn’t for us. '” Mr. Benoit talked about how the Congress had abdicated it’s duty to manages the money supply by creating the Federal Reserve Bank in 1913. He then explained the role of the Federal Reserve in creating the Roaring 20s and the Depression by inflating and then deflating the money supply, and how the situation has repeated itself in the buildup of the 90s and early 00s and the current decline. Low interest rates and easy money created the booms of the 20s and 90s, but it also allowed un-creditworthy individuals to get into homes. This caused a bubble in the real estate market that is now settling. The answer has been to create more easy money to bail out banks and individuals, at the expense of the responsible buyers. His solution is a sound monetary policy that does not allow a central bank to inflate and deflate the money supply. On the subject of Social Security, Mr. Benoit sees it as another example of government overstepping its Constitutional role while making promises it didn’t keep. “People gave up the liberty of their paychecks” in ecxhange for government’s promise of security and a guarantee that the money would be held in a trust fund. Mr. Benoit said that this trust fund actually does not exist and never has – that the money has simply been spent right away, along with other taxes. However, he does believe that the government has made a commitment to those who are currently on Social Security, and that it must make good on that commitment. On the other hand, he does not believe that future generations should be forced to remain in the program. He says the government is considering possibly raising Social Security taxes, lowering benefits, and printing more money to deal with the situation. When asked for this thoughts on protecting/using the environment, Mr. Benoit stated that “government is the worst steward of the environment.” As with education, he believes that the closer the government is to the people, the better it will handle its obligations – including protecting the environment. He is in favor of turning National Parks into State Parks, and having a wider degree of private property ownership – which he argues would give people more recourse against polluters if the people owned the land. Mr. Benoit feels this would help bring us back to a more responsible attitude toward the environment. On the topic of preparing for future fires, such as in 2003 and 2007, Mr. Benoit believes that if it is federal land bordering communities, then the federal government should take care of any fire protection on it. As far as the lack of coordination among organizations, he thinks part of the problem is that government has handicapped people and they are afraid of getting in trouble for acting without authorization. He also feels that more homes could have been saved if more people had been allowed to stay at their home instead of being forced to evacuate. Talking of immigration, Mr. Benoit said that if the federal government just paid attention to what it is supposed to, it would do a better job of it. He talked about how the country used to allow a much larger flow of immigrants, and that this flow helped give power to the American economy. Immigration started becoming more of a problem “when we became more of a socialist state. A welfare state.” This holds for both legal and illegal immigration. In fact Mr. Benoit feels that there would be less concern about illegal immigration “if it wasn’t for the huge cost to our society in free education, free healthcare, and free ‘anchor baby’ status.” The ending of the “bracero” program, which provided temporary Mexican labor for agriculture during harvest time, increased illegal immigration by ending a source of temporary legal immigrants. Another factor is the increase in border control – it has become more difficult for illegal immigrants to go home because of the danger and expense of returning to the U.S. So instead, they stay here and send for their family members, thus enriching the “coyotes” who smuggle people across the border. Mr. Benoit feels the only way to deal with the illegal immigration problem is to deny all social benefits – such as health care and education – and make it easier for them to go home. Then give them a 6-month work visa after they have been home for at least 3 months. If there is a flow of legal labor, then employers will be self-regulating and less eager to hire illegal workers, and these people will then go home if they have no work. Mr. Benoit also believes the employers and immigrants should not be punished, rather the politicians who have created the situation. On my last topic, transportation, Mr. Benoit said it was a “twisted interpretation of the Commerce Clause” that allows the federal government to be involved in building highways – only “post roads” were authorized by the Constitution, and those only for communication purposes. He said the Commerce Clause simply authorizes the federal government to make sure that nothing interferes with interstate commerce, not to regulate all aspects of it. Mr. Benoit also believes that most of the state highways would be completed by now if the state government had not been raiding transportation funds for general expenses. Federal protections of endangered and threatened species has also been a hindrance to completing projects. Mr. Benoit has great concerns about the direction the federal government is going in a number of areas. He feels that the “astronomical” debt will lead to either default or the printing of more money – which will devalue the money more. Another area of concern is personal rights and responsibility. “Every time government takes away a right or a liberty,” he said, “they take away individual responsiblity with it.” The role of the federal government should be as guardian of our individual liberties. The Constitution and Bill of Rights outline the duties of the federal government and prohibitions on its actions as well. 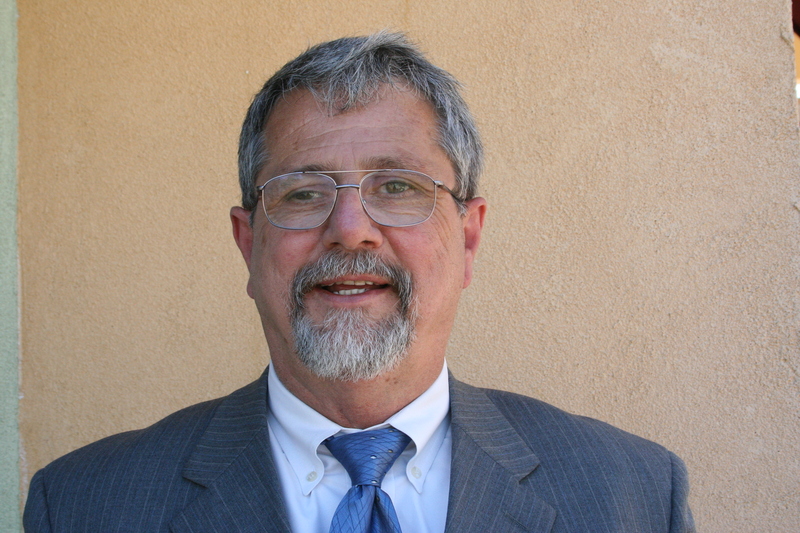 Mr. Benoit feels that many politicians take an oath to protect the Consititution, but either don’t truly understand the Constitution “or they don’t care.” He gave an example the change from a gold and silver coin system, as mandated by the Constitution, to a federal reserve note system, which has lead to inflation and devaluation. Mr. Benoit closed our talk by returning to the Declaration of Independence and the Constition. The Declaration of Independence states that people are endowed with “inalienable” rights, governments are instituted to secure these rights, and people have the right to change the government when it ceases to do that. He quoted Benjamin Franklin’s statement that “if you give up liberty for security, you’ll end up with neither.” Government “disables” us in some way, prevents us from doing something for ourselves, then argues that it must take away some liberty in order to protect us. And by doing this, the government prevents people from taking personal responsibility. I hope to have the complete podcast of this interview up soon.